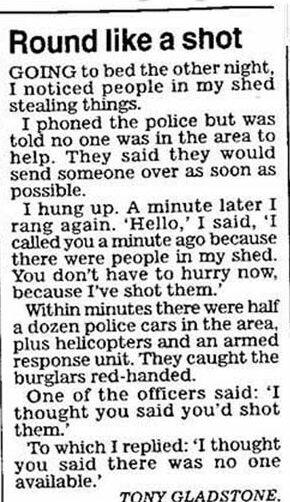 A nice story about burglars and lazy policemen. Do you have a nic story to tell? Tell us in our Facebook page!